Buy AirPods for a low price on EBAY + Get Casback! [App Only] Lazmall Brand Mega Offers Up to 50% off! [App Only] Lazada Promo: Huawei M5 Lite now available on LazMall! 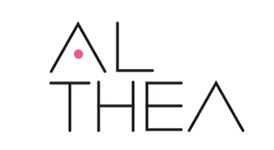 [App Only] Beauty Brands Sale Up to 50% off! Phones & Accessories Sale Up to 60% off! [App Only] blk Holiday Collection exclusively available now on Shopee! Baby and Kids Sale Up 60% off! Buy designer sneakers for a low price on EBAY + Get Cashback! [App Only] Everything under P500! Toys and Hobbies Sale Up to 60% off! BeautyMNL Christmas Sets starts at P199! Stay Fresh Body Sparkling Mist Buy 1 Take 1 Promo! ASOS Design Sale Up to 20% off! Flawless Creamy Concealer 1 + 1 or 2 + 2! Elizabeth Arden now available on ZALORA! Shop limited edition festive gifts on Sephora! Book your Malaysia trip early and get up to 30% off! Dubai Deals starts at P1,755! International Hotels Sale Up to 50% off! Easy Escapes Hotel Sale Up to 52% off! Book your Maldives Trip early and Save up to 30% off! Kuala Lumpur bookings starts at P291! S&R Sale Up to 50% off! Get a FREE Mule Fest House Party Kit when you buy Smirnoff Mule Bucket! Deli Gourmet Sale Up to 15% off + FREE delivery! Wendy's on Honestbee: Discounts and Cashback available! Family Mart on Metromart: Buy quick meals and snacks + Get Cashback! Get a FREE shot glass when you Jagermeister 700 ml! Get 10% off on all Tonkatsuya Sets on Tonkatsuya! Good news, 12.12 Sale is finally here! The 12 12 sale is here! Online shoppers hold on for the last major sale in December before Christmas is here. So if you had been too busy working and had forgotten to get all your Christmas gifts for your friends, family, or acquaintances, then grasp this last chance well. Mark your calendars, as the event stands as the best sale on this Christmas season, so better get the best deals for this year's season of giving. With all your favorite online shop coming together to give you the best 12/12 deals and promo codes, this is truly the best season not only for gift giving, but for shopping as well! Be it toys, food, clothes, or electronics, get both your loved ones and yourself a treat and a present. Remove the queues from your shopping equation and shop online. Not only do you get great promos without fighting with others in the store, but you can get your products delivered right to your doorstep as well. Therefore, if you are still bogged down by work and unable to make it down to the malls to shop, go ahead and browse for products on sale onlne. Not only does it saves time, you also get to use great discounts on deals and coupons with a quick search, and have all your Christmas shopping down! Vouchers from biggest online shops like Shopee, Lazada and Zalora, not to mention promos from your favorite food delivery couriers such as Honestbee and Foodpanda. So go do some online shopping, and use some of ShopBack Philippines' voucher codes to get what you need for cheap prices! Christmas is coming! If you haven’t already, go shopping for clothes. Shop for your Christmas party clothes, or try out a new look this year. Whether you are on the search for a grunge look, or a style more fitting for a Korean popstar, feel free to experiment with the different styles, because changing your style has never been cheaper with a 12.12 promo code! So do make use of your December codes while you still can. This way, there is nothing to fret about, but the look of the clothes on you, and which December deal to actually prioritise. In the season of gifting, finding the right present can be a tough challenge. Google would be the first thought that comes to mind for tips and advice, but with pages after pages of 'best gifts' listings, it almost feel like it's back to square one. Sometimes, the googled suggestions are way out of your budget, even if it did fit your loved one's criterias. Don't fret. Simply take inspiration from the Google searches and roam our above list for something similar at a more affordable range. In fact, you might even find the exact same item, but with a price-cut! Alternatively, bookmark us for the best deals abound, and perhaps you might find something you'd like. You’ve done your waiting, all twelve months of it, for the perfect adventure and what better time than now to use a December promo and book a vacation to the destination of your dreams? That’s right, make full use of the Dec sale to book your holiday while it still lasts. Grab a couple of your friends, share some December codes, and travel together with your friends. It’s a great way to facilitate bonding between friends and celebrate the strength of your friendship by travelling together. So use the December discounts to get a trip for cheap, and then you can sate your wanderlust with friends, on the day of 1212 itself! If any electronic product has had the honour of catching your eye, don’t let them slip away from you. Quote a December coupon and they might be able to go home with you for cheap. So yes, get a new HD TV with the latest gaming console you’ve always wanted, or get a portable handheld to complement that existing gaming console you already have. Or perhaps you want to get a tablet to pamper one of your loved ones? Go ahead, because on 12.12, there will be electrifying sales. So make use of the December promotion to actually get some 1212 coupon codes and electronics for cheaper rates! 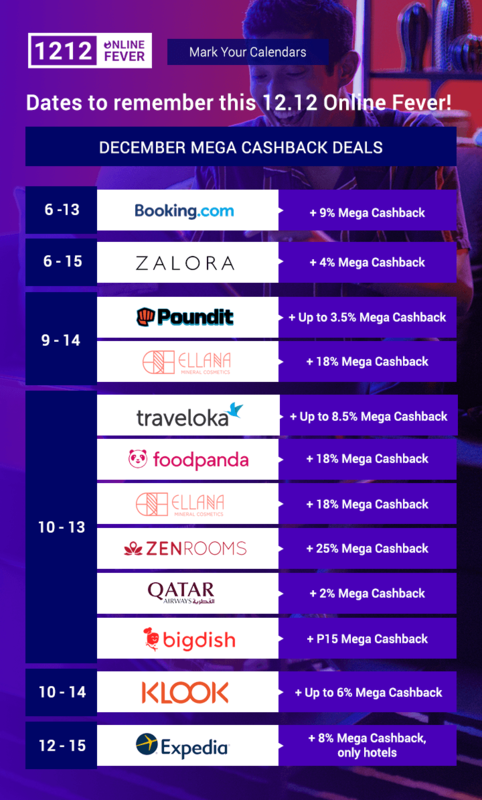 More good news - ShopBack Philippines will give you cashback on top of the different 12.12 discount codes that you may enter. 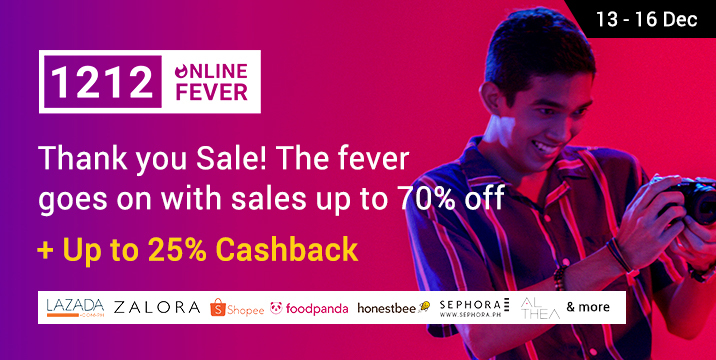 As long as you click through ShopBack Philippines to any of our merchant websites to shop there, then ShopBack Philippines will give you corresponding cashback! So enjoy any December promotion, and when you do, always remember that ShopBack Philippines will have your back, and we will give you all the cashback you have earned with the 12.12 sale. For more of the latest deals, just subscribe to our newsletter. Happy shopping!